Well, here we are, my first weekly belly photo. There's not much going on but I thought we might as well get started and hopefully the photos will only improve over time. I thought it would be neat to feature different parts of Denver as well since we just moved here. Today we were driving down 13th Ave (Get it? I'm in my 13th week of pregnancy!) and we noticed this view of the capitol building and we thought it'd be a great first weekly belly photo...to introduce the belly and to introduce our new city. 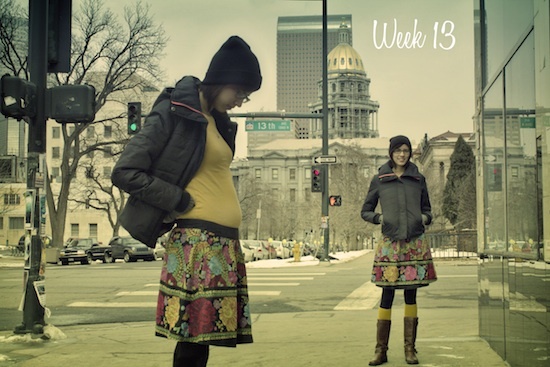 So without further ado, here's my 'Week 13' photo.